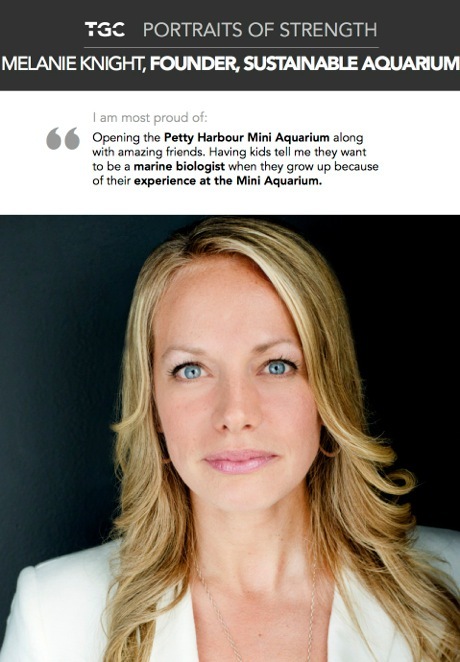 I am a Founder, Petty Harbour Mini Aquarium. When I was 10 I wanted to be a Marine Biologist. I work as a Founder, Marine Biology and Public Education. I am proud of opening the Petty Harbour Mini Aquarium along with amazing friends. Seeing over 17,000 people come in the first season. Having kids tell me they want to be a marine biologist when they grow up because of their experience at the Mini Aquarium. Seeing all the animals go back to the ocean at the end of the season – as part of our “catch and release” policy. Seeing our amazing staff of six grow and develop throughout the season, be challenged and work together. The biggest obstacle I have faced was fear. It’s scary putting yourself out there and believing you can achieve your dreams. But when you get that “scary/awesome” feeling, that’s when you know you are in the right place. My advice to women is volunteer. It’s a great way to learn, get work experience and find what you like (and don’t like). Also, to find your dream job, find the thing that you are insanely curious about and pair it with the thing you love to do. Ex. ocean + talking = Marine Educator.